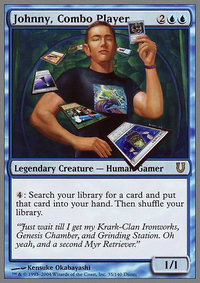 (4): Search your library for a card and put that card into your hand. Then shuffle your library. I've went through and Upvoted all the decks listed in the comments AND I'll be updating the member section with my information soon. 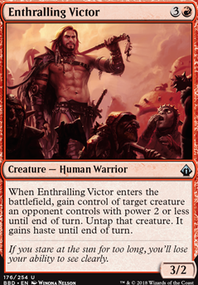 Also I'd greatly appreciate help on the Sultai Petitioners deck I posted above. I'm also going to follow all the Deckwatch members and at the very least everyone will get an upvote from me. @Darkshadow327 you may not have played as long as I have but you've been an active member of T/O for some time now, so you have the experience. However you can always learn new things, and sometimes you don't think about something someone else will. So don't get down on yourself, and just be open to learn from the Vets who've been playing longer than yourself. Also I love the new username. @DiverDown Sounds like a fun time. It's funny though I refuse to play Sylvan Library anymore because I always end up killing myself with it lol. You know you're a Johnny (ref: Johnny, Combo Player) when you build RG dinosaurs and it turns into a combo deck. I'm not really looking for suggestions, although they would certainly be appreciated, but rather I just wanted to show this off, hear people's thoughts and see if anyone else found the combo was as funny as I did. You Won't Like Them When They're Angry. 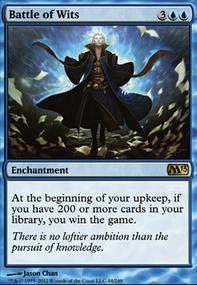 Im interested in Tundra, Volcanic Island, Underground Sea (dont care about condition) and Force of Wills and a couple Jace, the Mind Sculptor! I am also open to selling these or stuff in my binder under TCG low so I can buy the cards I want. Thanks for looking! rockleemyhero on Selling under tcg low! I have a few things Id like to sell if anyones interested. Will beat tcg low! Prices firm, friends/family paypal only. + 4% for business transaction. Shipping and tracking included! (For US). Will ship international as well but wont cover shipping costs. Hope you have a nice day! 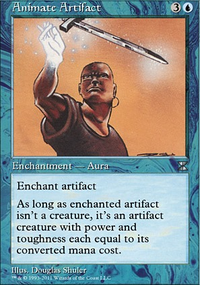 Looking to get into legacy and throwing out some feelers. Have a bunch of higher value EDH stuff for trade. Have a Johnny, Combo Player foil NM. Looking to trade or sell it. Willing to go lower than tcg mid for trade! 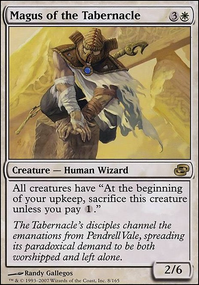 The Un-sets are intended to be humorous and not taken seriously, but it would not surprise me if WotC uses them to test ideas that might work in "normal" sets; for example, Barren Glory is a functional reprint of The Cheese Stands Alone, an excellent idea, in my mind. 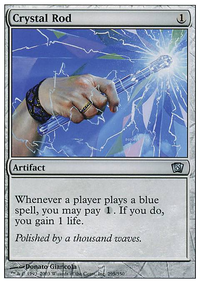 Therefore, with Unstable being recently released, I am starting this thread to discuss cards or ideas from the Un-sets that would work in legitimate sets. 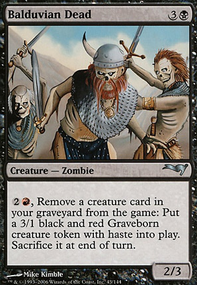 Organ Harvest, from Unglued, would work perfectly as normal card, as it is neither overpowered nor silly, so I am very surprised that it has not yet been reprinted. 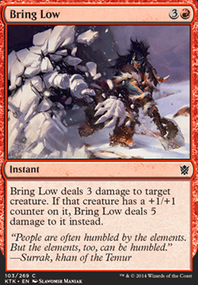 Mise, from Unhinged, is also an excellent card, but it may be too powerful, so would need a higher mana cost to balance its effect. 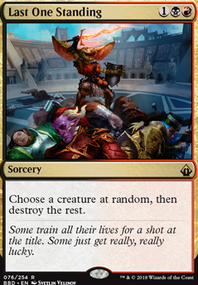 Crow Storm, from Unstable, is also an awesome card, so I feel that it is worthy of being printed in a normal set (obviously not one that is standard legal, more likely a Commander set). 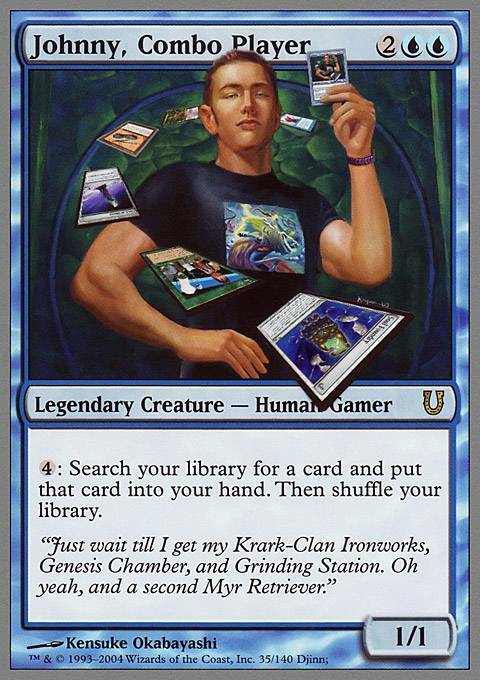 Timmy, Power Gamer, Johnny, Combo Player, and Spike, Tournament Grinder are all excellent cards that could be reprinted, with different names and, in Spike's case, a slight adjustment to their ability. 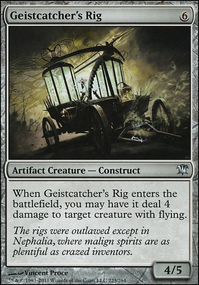 Host creatures and contraptions were interesting ideas, but likely to be too complicated for "normal" sets. 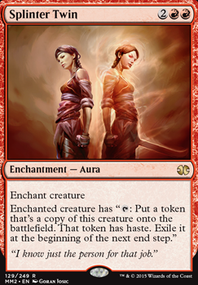 Mox Lotus should have been a legitimate card, so I am very displeased that WotC wasted that name on a joke card. 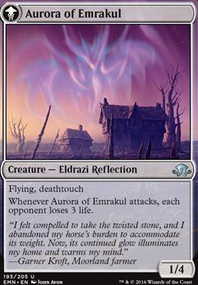 I also hope that there (finally) being a card of Urza in Unstable will lead to there being a card of Urza in a legitimate set. What does everyone else say about this? 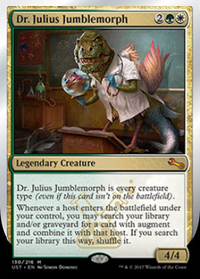 What are some cards or ideas from the Un-sets that would work in normal sets? 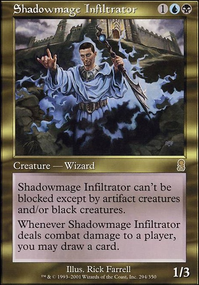 Unglued had a card named Timmy, Power Gamer and Unhinged had Johnny, Combo Player, both of whom are references to two of the three best-known player profiles. 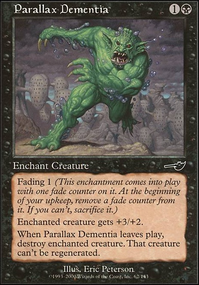 Therefore, I am wondering, will Unstable have a card for Spike, the third player profile? What does everyone else say about this?